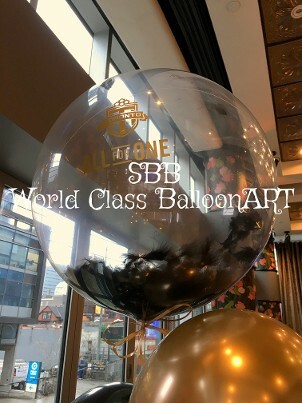 SBB has been Award "International Balloon ARTist of the year-- Twice" and has been providing World Class BalloonART in Toronto and the GTA since 1990. 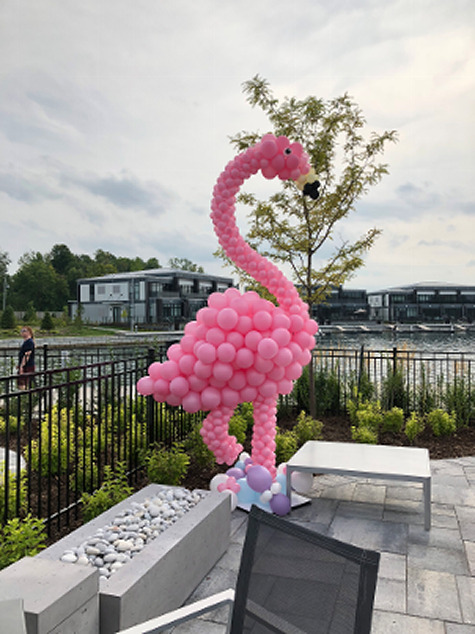 Our award-winning team of Certified Balloon Artists (CBA) install Balloon decor 7 days a week from Niagara Falls to Montreal & Toronto to Sault Ste. Marie. 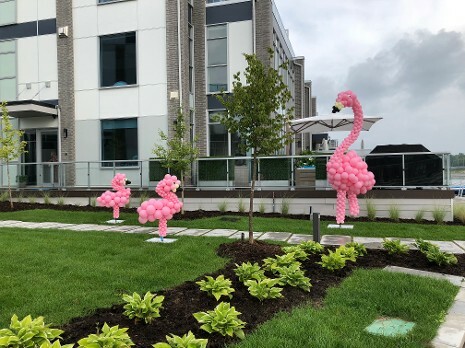 We LOVED to provide custom Decor as you can see with our Large 13 foot Tall Flamingo and her 2 cute smaller Flamingo's along with an Organic wall and the 4' Tall #1. 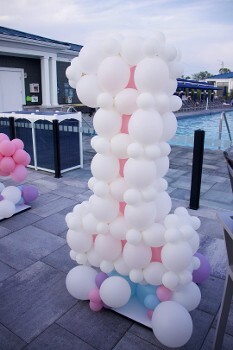 "I want to thank you and your team for the most beautiful and amazing balloon decor display we have ever seen. It was absolutely perfect and couldn't have been a better fit for her first birthday. Thank you for making her day so special we are truly grateful. 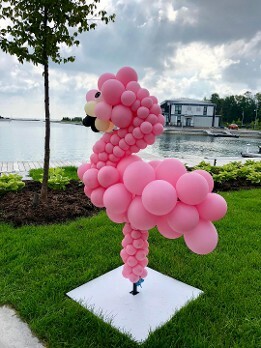 We are so happy with the work produced by Colin and his team at STEWART's Baskets & Balloons for our daughter's 1st Birthday Party! 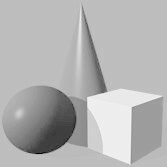 They are such a pleasure to work with and knew exactly what we were looking for. 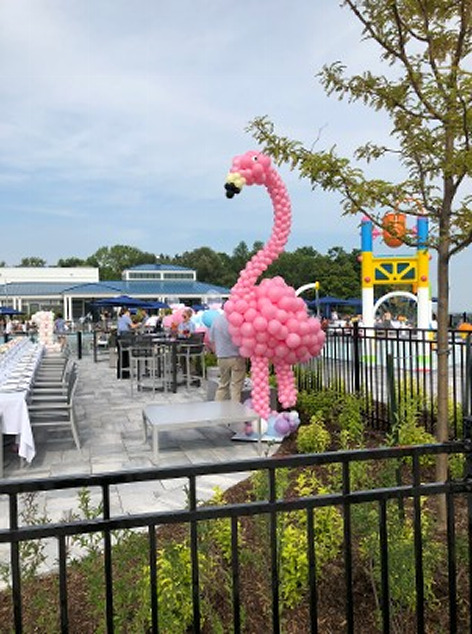 Everyone loved the flamingo themed balloon decor and kept taking photos!! 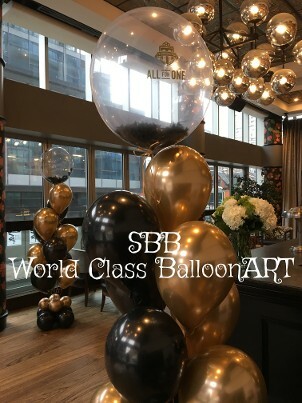 It was absolutely perfect and would highly recommend SBB for any event." 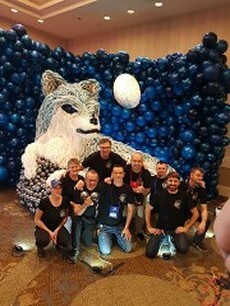 On March 9, 2018, we traveled to San Diego, U.S.A., where we took part in the World Balloon Convention, a convention of over 800 delegates from around the world. I was 1 of only 34 instructors at this prestigious event--an amazing honour! 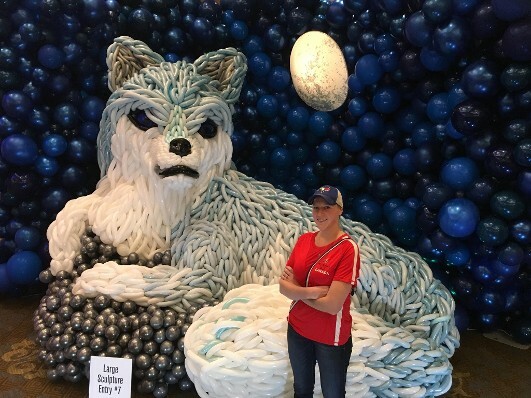 Our daughter, Kyrstin, was part of the large sculpture competition, in which teams from around the world competed to be the best of the best in a 27-hour straight marathon. 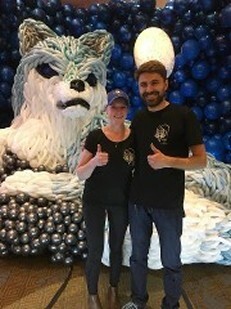 She was competing in a 9-member international team with the Lead Balloon ARTist and designer : Vadim Shushkanov-- Team Russia. They finished 2nd --an amazing accomplishment. 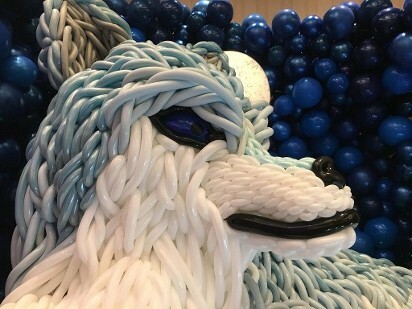 The competition piece called "The WOLF" is shown below. Toronto Maple Leafs, Toronto Raptors, Toronto FC, Toronto Marlies, Toronto Argonauts, Toronto FCII, Raptors 905, Real Sports Bar & Grill, Scotia Bank Arena, Loblaw Stores, Sobeys Stores, Home Hardware, 185 Walmart grand openings across Canada, Honda Canada Manufacturing, CBC Canada, Princess Margaret Hospital Foundation, Friday Harbour Resort on Lake Simcoe, Hockey Canada - World Juniors Championships, and all major car dealerships as well as private events for such artists as Drake, Bon Jovi, Snoop Dogg, and Shawn Mendes. 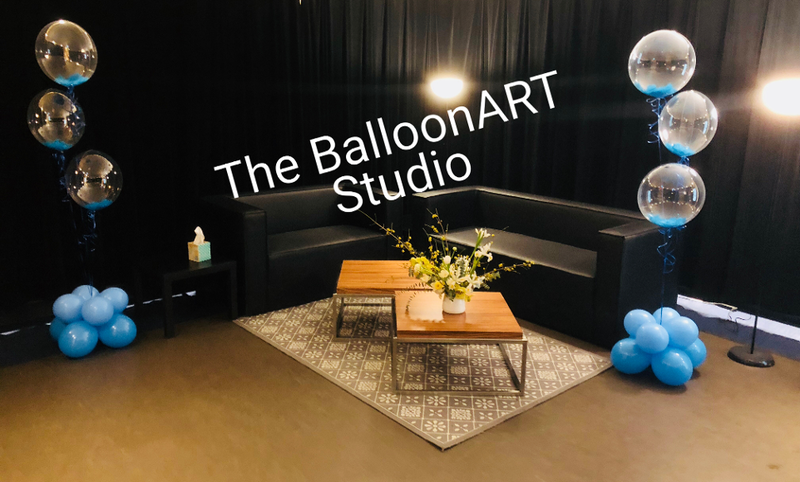 We have been teaching for over 20 years in such locations as: Montreal (3), Ottawa, Toronto (5), Hamilton, Banff, Edmonton (2), Abbottsford, New York City (2), Boston, New Orleans, Sacremento, St. Louis, Detriot, Oklahoma City, Virginia, London England (3), Paris France, Manchester, Nottingham, Glasgow Scotland (2), Sandefjord Norway, Barcelona Spain, Dublin Ireland (2), Slovenia (3), Sicily Italy, Tokyo Japan, and Sidney Australia, and in 2018 we start in San Diego, South France. In addition to teaching and competing at WBC 2018, we were also a vendor at the event for the third time. 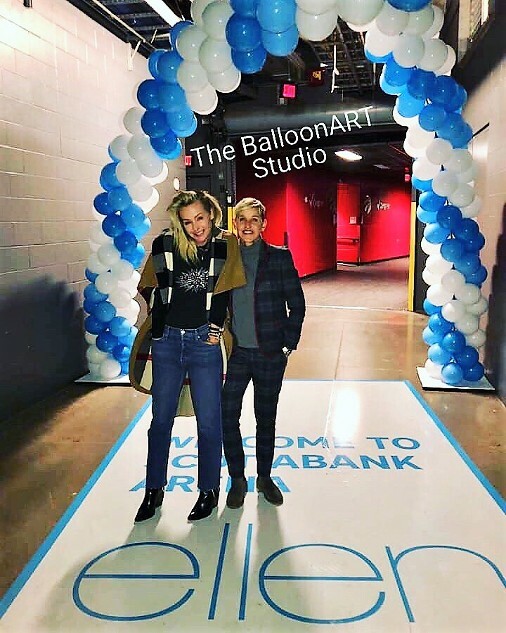 Not only did we give away 400 nets to the delegates attending the convention from all over the world, we also supplied our newest addition to our RELI-A-DROP family of balloon drop nets, the DIY line. 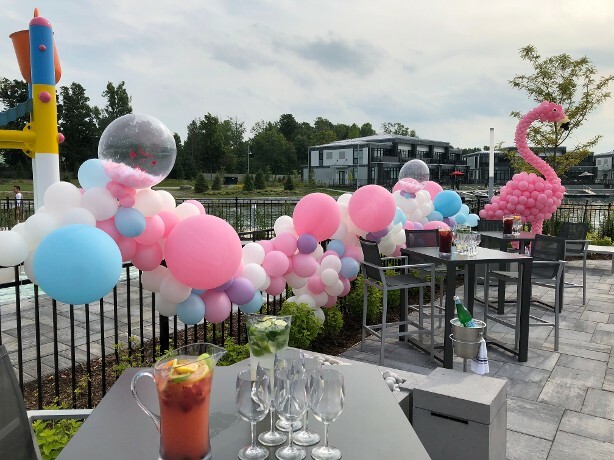 This 4-minute video shows both photos and 2 videos of the fun and excitement created at the welcome party festivities of the drops using both our DIY60 and RELI-A-DROP 1000 nets filled with colourful 3' balloons. Enjoy! 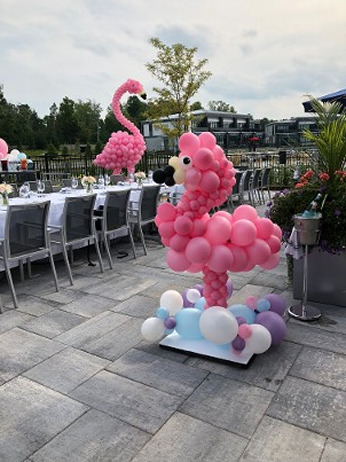 We love to bring BalloonART to our Customers! 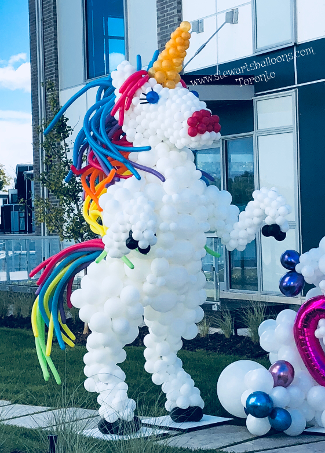 The Unicorn ... standing close to 13 feet tall along with our Organic Cloud where the name CONNIE is embedded into the 10 foot long Cloud. 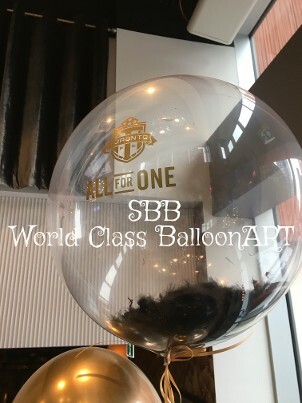 Here we have....bubbles with black feathers inside and the hottest, amazing balloon in Toronto--the gold chrome! Our 2017 Alliston Potato Festival presents our walking FLOAT! !